It is our Lily's 11th birthday on Friday, she will be having some friends come over Saturday night for a very grown up party! I have seen other people make these adorable little treats and have been waiting for an excuse to make a batch myself. It is rather a bleak day here in Melbourne today, so the photo is a little dark, but these are so delightful I think they shine through anyway. These spoons look delightful. My daughter is turning 9 soon. Kinda wanna make them too. How do you do it....???? 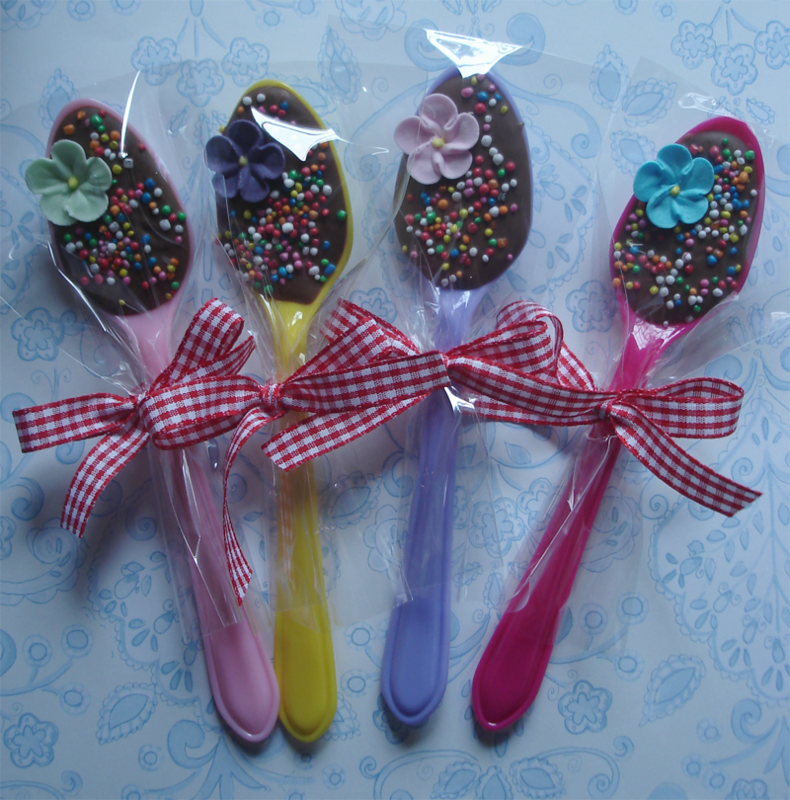 I purchased some coloured plastic teaspoons from a $2 type shop. Melt a good quality milk chocolate and drizzle the melted chocolate into each plastic spoon, I rested each spoons handle on a rolled up tea towel on a tray to stop the chocolate running out of each spoon. Sprinkle each one with 100's and 1000's and then place a sugared flower in the top left corner of each spoon. Pop them in the fridge until set, I placed mine in celeo bags I purchased from Riot and tie with a bow. Voila!! They were a great hit! Enjoy!